Monterey County is blessed with some mild weather and beautiful parks that make for the perfect combination for an outdoor wedding or renewal celebration. Lovers Point Park. Located in the quaint town of Pacific Grove, this park features a large grassy area, majestic trees and views of the Monterey Bay. Of course, with a name like Lovers Point it is quite popular for weddings. From the park, there is great access to different photography areas including the beach, a coastal trail and rock formations that jet out over the water. The City of Pacific Grove charges a permit fee of $300 (reduced for weekday weddings). Berwick Park. Also located in Pacific Grove but in between the downtown area and Cannery Row, Berwick Park is a large, rectangular shaped stretch of grass with multiple views of the water and access to a tiny beach for couples portraits. Off to the right, is an enormous Cypress Tree and a shaded area which is also quite nice for ceremonies (and a little more private - referred to as Cypress Grove). Same permit fees as above ($300) through the City of Pacific Grove. San Carlos Park. Located at the very beginning of Cannery Row, San Carlos Park features a beach (with easy ramp or stair access), a large, well maintained stretch of grass and views of Fisherman's Wharf, Cannery Row, a large fountain and of course, the Monterey Bay. The City of Monterey does not charge a permit fee but you can only assemble for a wedding informally (e.g. no chairs, no arch - so this would be for our Simplicity or I Do Packages only). Asilomar Gazebo. Located within the Asilomar State Park, the gazebo is a beautiful place to get married if you like the feel of being at the beach without having to stand in the sand. Walk along a short wooden boardwalk to reach the gazebo and enjoy views of the Pacific, the beaches and surrounding rocky outcroppings. Perfect for parties of up to about 12 people. Asilomar currently charges a $150 rental fee plus $10 per person. Carmel Valley Park. For us locals, this is an area we go to to find warmer weather. Although it is only about a 20 minutes drive from downtown Carmel, the temperatures can be up to 20 degrees warmer. This large park has an adorable gazebo that can be used for weddings. $300 permit fee for the Gazebo. Wedding Rock. An appropriate name for a pathway that leads you out to a rock formation that overlooks the Pacific Ocean. It is a bit of a hike - but not too bad (but not the place to wear a full bridal gown). Best for small parties as there is simply not enough parking or room to have more than about 10 people present. Mostly private and great for a casual wedding. Through the California State Parks, permit fees vary but average between $400 - $650 (a Micro Permit fee of just $75 may be available for weddings with 10 or less people with no props). Pt. Lobos. We have had a lot of weddings with people who proposed at this beautiful State preserve, known by many as "the greatest meeting of land and sea." They just started allowing weddings but have many restrictions - and a higher permit costs (averaging about $900). However, if you want to say you got married in Pt. Lobos it is a unique venue with some great views. Toro Park. Monterey County is made of many different areas - each with their own charm. Toro Park is located off of Highway 68 which leads from Monterey out towards the mostly agricultural community of Salinas. Toro Park is one of the prettiest parks of all and offers a variety of areas for a wedding celebration (and the permit fees are quite reasonable). Toro Park is about a 20 minutes drive East of downtown Monterey. Indian Village. Located within 17 Mile Drive, is this rustic space which offers a forest setting and a lot of privacy. Indian Village now consists of a 21.04 acre parcel of primarily mature Monterey pine forest with a park-like clearing and picnic facilities. Rental fees average about $300. Julia Pfeiffer Burns State Park. One of the top places to visit in all of Big Sur, they offer a restaurant, lodge and camping facilities. 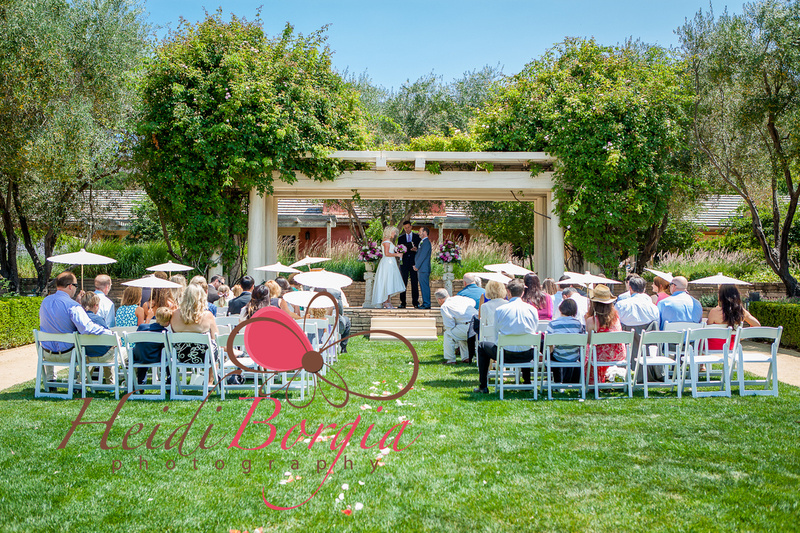 Within the park are several places to hold a wedding ceremony surrounded by towering redwoods. More information coming soon.